Memorial Day gives honor to our fallen soldiers that risk their all to protect our Constitutional rights against all enemies, both foreign and domestic. Who would ever guess that DeKalb County would make national news for violating one of the most important Constitutional rights of them all, the 1st Amendment (Freedom of Speech). 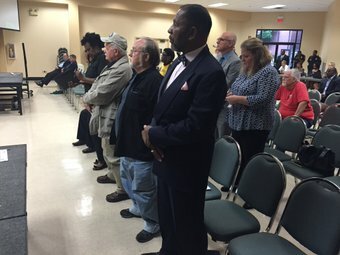 DeKalb County Board of Commissioners in Georgia instituted a new rule prohibiting citizens from using the names of commissioners during the public comment portion of the county meeting. This rule carried little weight with Ruby Bozeman Davis, co-founder of the Unhappy Taxpayer and Voter ministry. 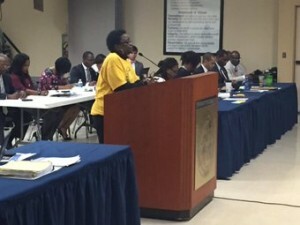 Davis appeared at the May 10th Board of Commissioners meeting to speak during the public comment to simply state the board members’ names. 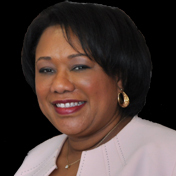 Her first attempt to call the name of the Presiding Officer, Commissioner Larry Johnson, was met with an episode of chastisement. “You’re getting an ethics complaint, each of you, on violation of our freedom of speech,” said taxpayer Jerry Jackson. “If you don’t want your name mentioned during public comment time, then stop doing outrageous, offensive, illegal and, quite frankly, stupid things,” Long said. WGCL noted that one of the commissioners — Sharon Barnes Sutton — found a creative way to avoid hearing her name at the meeting: She arrived two hours late.